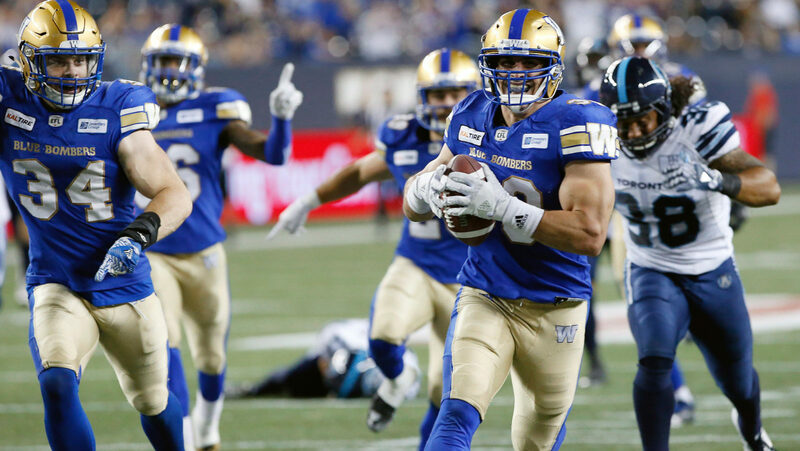 WINNIPEG — The Winnipeg Blue Bombers have released veteran international linebacker Ian Wild, the team announced Friday. The Bombers also announced they’ve signed international linebacker Jarnor Jones and international offensive lineman Chauncey Briggs. Wild, who was due to become a free agent on Feb. 12, spent six seasons with Winnipeg, recording 245 tackles in 67 games since breaking into the league in 2013. A native of Pittsburgh, Wild also racked up 60 special teams tackles, eight sacks, one interception and eight forced fumbles. He had 12 defensive tackles, 12 special teams tackles and a touchdown in 15 games in 2018. Jones played two seasons with the Iowa State Cyclones, totaling 78 tackles, three sacks, and one interception in 24 games. In 2016 he shared the award for CMU’s Defensive Player of the Year. A year later Jones signed with the Atlanta Falcons as an undrafted free agent before joining the San Francisco 49ers’ practice squad.